When performing a consultation with our clients, it is important that we ask questions to understand how we can best help you. A consultation is about more than just what colour or style you may want. It’s also about the health of your hair, your daily lifestyle, your feelings and any other concerns you may have. By asking these six questions to every client, every time, we are able to establish exactly what you want which ensures we can deliver results that you will love. Are you looking to change or maintain your look? Clarifying this issue with will allow us to judge how much of a change you are really looking for. This can affect how much hair we cut or even how dramatic the colour or highlights are that we apply. It’s vital to establish whether you are looking to maintain your current look or if you’re looking for something entirely new. What problems do you face when styling your hair at home? Many clients may be having issues with their at home but don’t want to mention them at the salon. By asking you about these problems we can offer suggestions to help you with with this. Do you have problems with straightening your hair? Or holding curl? Or maybe finding a hairspray that you love? We try to find out as much as possible so we can help you. Do you have any problems with your hair and/or your scalp? Asking if you have any problems with your hair and scalp can prevent us from running into issues during your appointment. If you suffer from dry hair or an itchy scalp, we will use different products on you during your service than if you had oily hair, so it’s important we ask these questions at the very beginning of your appointment. How do you feel about the condition of your hair? 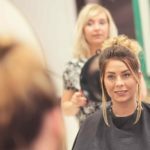 It’s important to ask how you feel about the condition of your hair, because it doesn’t always reflect what is actually happening. Asking how you feel about your hair’s condition allows you to express your desires about your hair being shinier, fuller or straighter. Just because we may feel their hair is in good shape, doesn’t mean you are happy with it! How do you feel about the colour of your hair at the moment? Just like the condition of the hair, you may not always be happy with your colour, even though it may look good to us! We will ask you specifically how you feel about your current colour. Do you wish it was lighter? Darker? Is it too cool? Too warm? Asking these specific questions will allow us to better proceed forward with your service. What products and tools are you currently using on your hair? 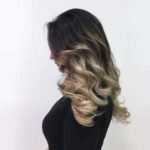 Finding out what products and tools you are currently using will explain the condition of your hair and also give us an opportunity to suggest ways we think we can help you achieve your desired look. We will ask these questions at every appointment to ensure you are getting the very best service from us. It’s another part of The Hair Boutique service that sets us apart from the rest!